Timothée Hal Chalamet (born December 27, 1995) is an American actor. Chalamet began his acting career in short films before appearing in the television drama series Homeland. He made his feature film debut in Jason Reitman's drama Men, Women & Children (2014) and appeared in Christopher Nolan's science fiction film Interstellar (2014). In 2017, he gained wider recognition for his supporting roles in Greta Gerwig's directorial debut Lady Bird and Scott Cooper's western Hostiles, and for his lead role in Luca Guadagnino's romance Call Me by Your Name. The latter earned him nominations for the Academy Award, Golden Globe Award, Screen Actors Guild Award, and BAFTA Award for Best Actor. He is the third youngest nominee for the Academy Award for Best Actor and the youngest since 1939. 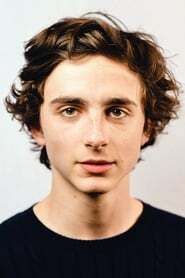 On stage, Chalamet has starred in John Patrick Shanley's autobiographical play Prodigal Son, for which he was nominated for the Drama League Award for Distinguished Performance and won the Lucille Lortel Award for Outstanding Lead Actor in a Play.